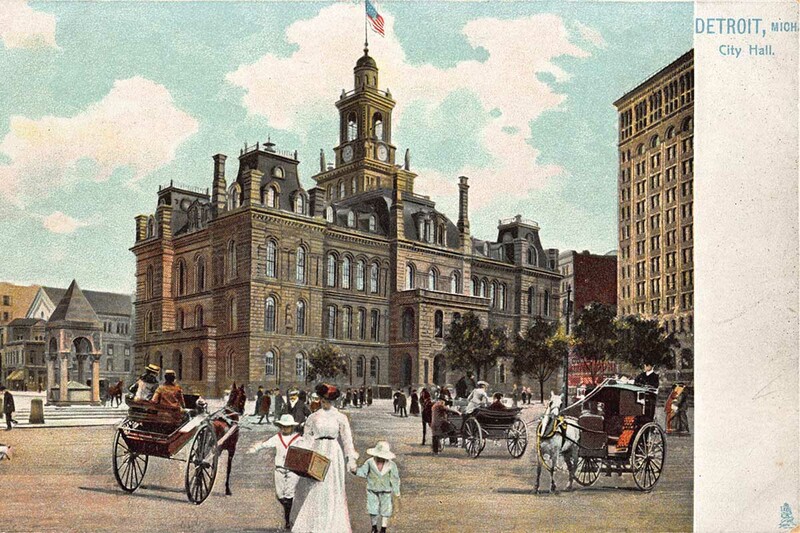 Detroit dedicated its City Hall on July 4, 1871 on the west side of Campus Martius. Decisions were made here on everything from buying Belle Isle to building Cobo Hall. But as Detroit entered the era of fluorescent lighting and drop ceilings, there were calls for a more modern building. In 1955, the city moved into what’s now known as the Coleman A. Young Municipal Center. The old building was demolished in 1961. Vernors, Detroit’s “deliciously different” ginger ale, has been a Detroit staple since 1866. 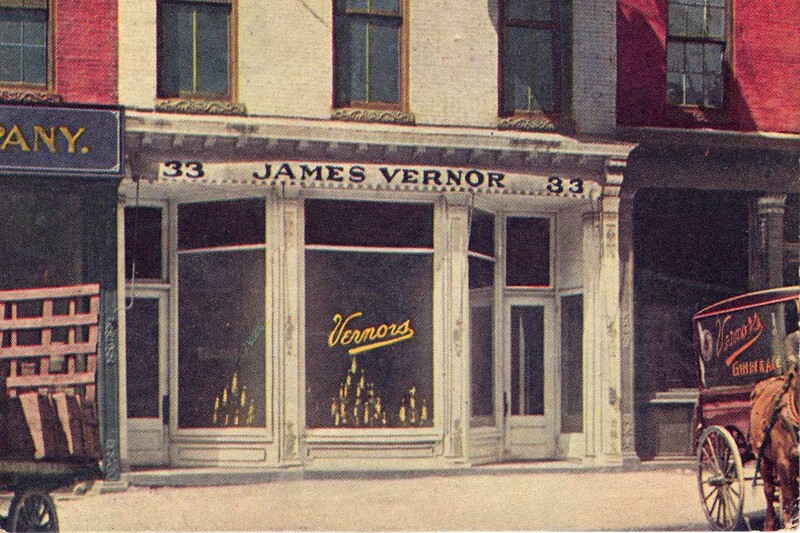 James Vernor moved his company into this building on Woodward south of Jefferson in 1896. In the 1950s, the city condemned the area to create what is now Hart Plaza. As a result, the soda maker opened a factory on Woodward, which closed in 1985 and was torn down two years later. Straight ahead is the Pardridge & Blackwell Department Store, but most Detroiters recognize the building by another name: Crowley’s. P&B built this store on Monroe and Farmer in 1906, but quickly went bust. One of its largest creditors was Crowley Bros. For decades, it was a top retailer, but declining sales led to the store’s 1977 closure. It was razed for a parking lot. 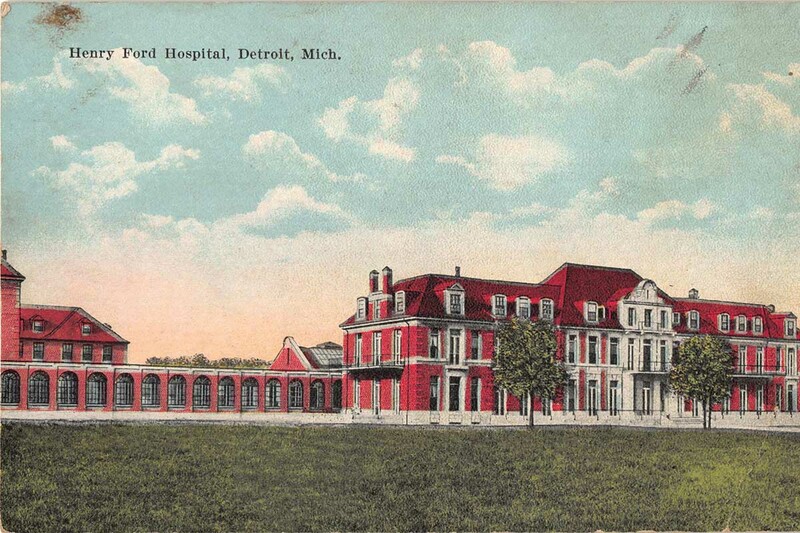 Henry Ford Hospital admitted its first patient in 1915. It originally had 500 beds. Construction on the main hospital building we know today began in 1917, but was stalled because of World War I. It finally opened in 1921, and was one of the largest in the world. The hospital would pioneer a number of things deemed standard today, such as full-time staffs that work at only one hospital and uniform fees for treatment. In the early 20th Century, Americans were flat-out obsessed with postcards. In 1913 alone, they sent nearly 1 billion through the U.S. Postal Service. They were a quick way to keep in touch with friends and family, of course, but in the era before cameras became commonplace, they doubled as keepsakes of their travels. Detroit was one of the most popular tourist destinations around, so cards such as these were printed by the tens of thousands. 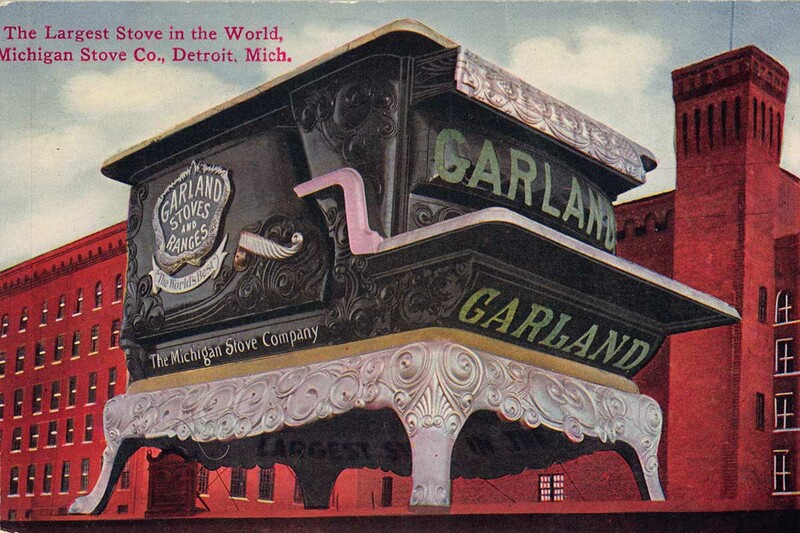 In the late 19th Century, Detroit was the Stove Capital of the World. The Michigan Stove Co. commissioned this 15-ton, 25-foot wooden Garland for the Columbian Exposition of 1893 in Chicago. It was then sent back to Detroit. For decades, it stood just west of the bridge to Belle Isle. Sadly, on Aug. 13, 2011, 13 years after it was restored, the range was destroyed by fire, the apparent victim of a lightning strike. 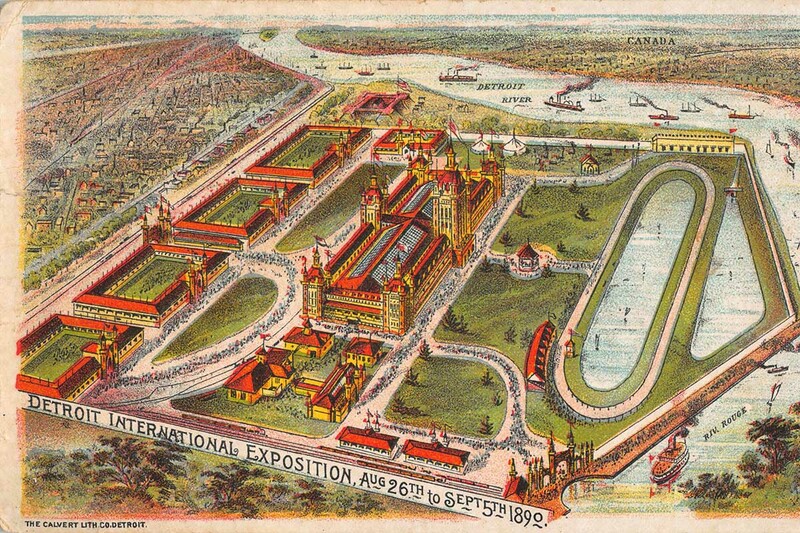 The Detroit International Exposition was quite the spectacle when it opened in 1889. 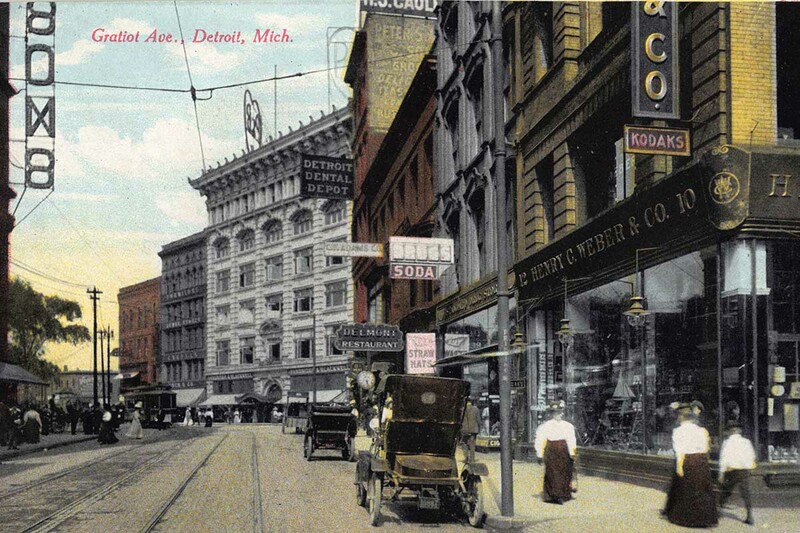 City leaders were eager to show the world Detroit was a booming, modern town. This was pre-motor Motor City, so the expo showed off Detroit’s big industries: stoves, soap, seeds and more. The grounds were where the Rouge and Detroit rivers meet, not far from Fort Wayne in the Delray neighborhood. Today, the area is part of the heavily industrialized Zug Island area. Future Civil War hero and President Ulysses S. Grant lived in this house from April 1849 until May 1850. He was then a young Army officer four years out of West Point. The house originally stood where Lafayette Park is today. It was moved to the State Fairgrounds in 1936. With the fairgrounds closed, leaders are trying to find the old home a new home. The house, built in 1837, is one of the oldest structures left in the city. 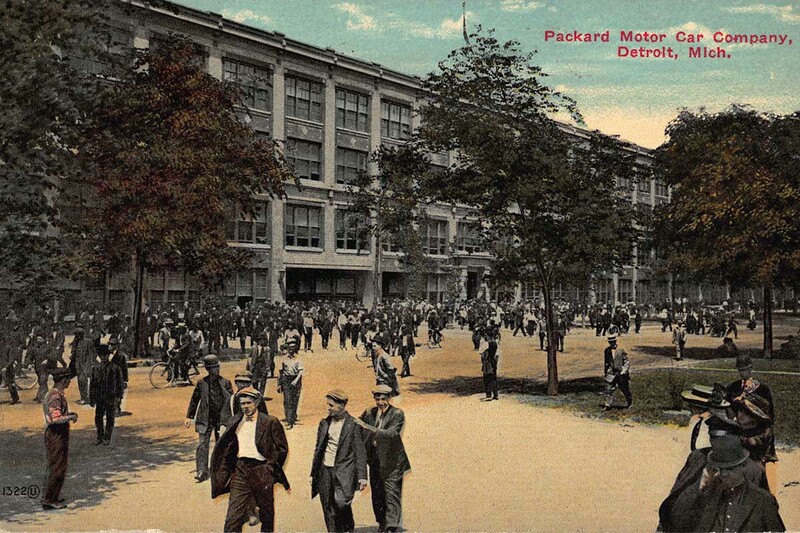 Architect Albert Kahn was hired in 1903 to design the Packard plant along East Grand Boulevard. For his 10th building in the complex, Kahn used reinforced concrete, revolutionary for factories. The plant grew to 80 buildings across 80 acres. Packard bought Studebaker in 1954, but the new firm never turned a profit, and the plant closed in 1956. Over the decades, scrappers ripped the place apart. A new developer is trying to save what he can. 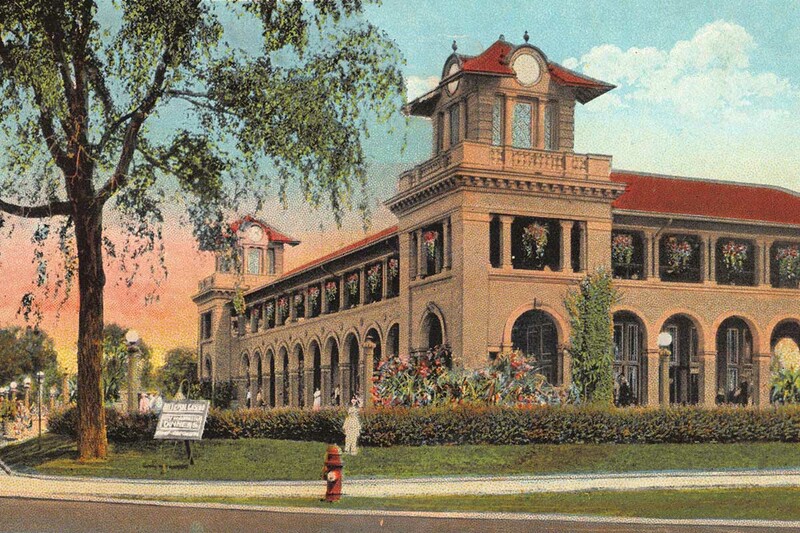 When the city bought Belle Isle in 1879, it was all forest and marshland. The parks department turned to famed landscape architect Frederick Law Olmsted to make a park. He had already gained fame for designing Central Park. He did not favor a radical facelift. But others did, and Olmsted was overruled. Crews got to digging a series of canals that quickly became one of Belle Isle’s most beloved and enduring characteristics. Before jetliners, folks hopped onto large, floating palaces that whisked them away on leisurely voyages. 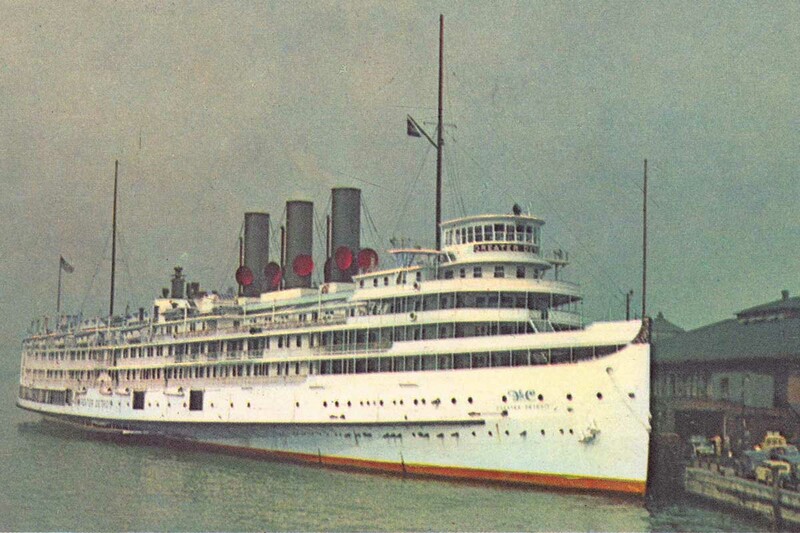 At 536 feet, the Greater Detroit and its sister ship, the Greater Buffalo, were the largest side-wheel steamships in the world, as long as a 50-story skyscraper is tall. By 1950, the beastly boats were no longer profitable, and stopped running after that season. In 1956, the Greater Detroit was taken out into Lake St. Clair and set ablaze. Long before Facebook, there was one surefire way to brag about your awesome vacation: simple postcards. And Dan Austin has a thing for them. The public relations executive and architecture expert has thousand of postcards featuring his two great loves: Detroit and old buildings. After 10 years of collecting, he’s curated 200 cards into a new book, “Greetings from Detroit: Postcards from the Motor City,” which will be released Sept. 18. A book-release party is planned 1-4 p.m. Sept. 17 (this Sunday) in the Fisher Building lobby. 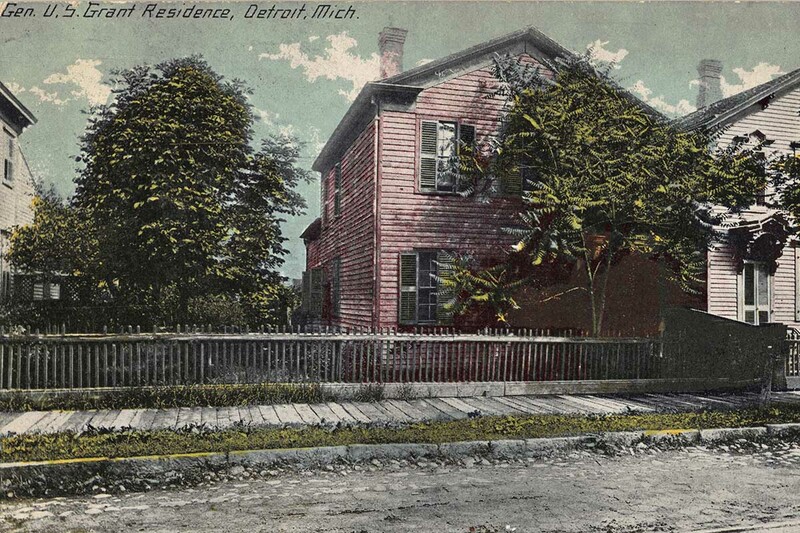 The postcards present an immediate, intimate glimpse of a city that exists only in memory: streetcars circling Campus Martius; roller coasters from a bygone amusement park near Belle Isle, and Briggs Field (the future Tiger Stadium) encircled by homes and trees. “It’s a window into the past of Detroit that we have only read about in books. Now we’re able to see a little piece of what that looked like, and in full color,” said Austin, who also worked at the Detroit Free Press and as a communications staffer for Mayor Mike Duggan. Austin is founder of the HistoricDetroit.org website that catalogues the city’s rich architectural history, and two books, “Lost Detroit” and “Forgotten Landmarks of Detroit.” Those books, particularly the latter, could be read as preservation calls to arms. That message could be inferred with Austin’s latest, which includes brief histories about each postcard and building. But he said his primary goal was to entertain, “set the record straight” about the history of some buildings and introduce readers to postcard-collecting hobby. The most recent postcard in the book is from 1940. Austin said that was an editorial decision. After that, the meticulously painted and photographed buildings and street views became cheaply mass produced, he said. Intentionally or not, the decision also freezes in time a Detroit that was still full of promise and ascendent. The city’s long, slow decline began after troops returned from World War II and automakers began closing or relocating plants that had defined Detroit. The book is published by Painted Turtle, part of the Wayne State University Press. It retails for $24.99. Interesting piece. I've seen images of when Waterworks Park was actually a park, complete with visitors, instead of the barricaded compound that it is today. I'd be curious to see the images from Electric Park from that era as well. After Bob-Lo closed, it's a shame that we don't have anything like that locally today (rather than traveling across the state or into Ohio). I was also wondering, exactly what did Mr. Austin mean by “set the record straight”? I realize that the study of history is practically forgotten practice today, but just how bad were people messing up the story behind his images? We're they doing things like confusing Eastwood Park with Electric Park, or something worse? Hi Kevin. Nothing quite so exotic. Mostly he says he's setting the record straight on some building histories. He mentioned a couple examples of other books having dates wrong on the start of construction, for instance. Hi. It's at the top of the story. Drag your mouse to the right or left and an arrow should pop up.